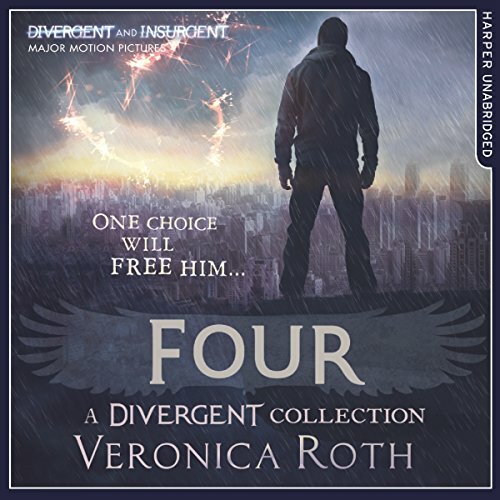 Fans of the Divergent series by number-one New York Times best-selling author Veronica Roth will be thrilled by Four: A Divergent Collection, a companion volume that includes four pre-Divergent stories told from Tobias Eaton's point of view. Divergent - a major motion picture in 2014. The first three pieces in this volume - "The Transfer", "The Initiate", and "The Son" - follow Tobias' transfer from Abnegation to Dauntless, his Dauntless initiation, and the first clues that a foul plan is brewing in the leadership of two factions. The fourth story, "The Traitor", runs parallel with the events of Divergent, giving listeners a glimpse into the decisions of loyalty - and love - that Tobias makes in the weeks after he meets Tris Prior. Exclusive scenes included!